This annual conference is held each summer and is designed to provide culinary arts instructors with the skills and knowledge to reach the highest levels of culinary standards in their classrooms. Attendees experience hands on lab time with industry experts, learn the latest in culinary trends and network with their peers and industry professionals. The 16th Annual Texas ProStart Culinary Educators Training Conference (CETC) is Saturday, June 22 - 23, 2019 at Culinary Institute of America in San Antonio, Texas. CETC is scheduled for June 22-23, 2019 at the Culinary Institute of America in San Antonio. New this year, a Back to Basics workshop will be offered in conjunction with the general conference. Back to Basics will take place on June 20-21, 2019 at St. Philip’s College in San Antonio. We are still working out the amazing details of this conference. Check back soon to register. Participants attending Back to Basics Bootcamp, must also register for the general conference. The Culinary Educators Training Conference (CETC) is a 2-day intensive culinary arts training for high school teachers featuring skilled industry experts. CETC is designed for educators who want to network with peers, increase their knowledge and improve their skills. 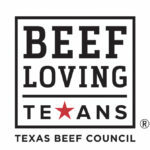 CETC is produced by the Texas Restaurant Association Education Foundation and the Texas Beef Council and hosted by St. Philip’s and CIA. The conference sells out every year with an extensive wait list. Registration is first come first serve. Follow this link to access our registration website - LINK COMING SOON! Please note: CETC sells out EVERY year – Registration for the conference is on a first come, first served basis. At the time 100 registrants are confirmed, the system will begin adding attendees to a waiting list. PAYMENT IS EXPECTED AT THE TIME OF REGISTRATION. REGISTRATION IS NOT CONFIRMED UNTIL PAYMENT IS FINALIZED. Once your registration and payment are complete, you will receive an automated confirmation email with additional conference details and the hotel booking links. We look forward to seeing you at CETC conference this summer!! To learn more about the conference view past agendas.